I sit here, at 8.30pm, waiting for Ash to arrive back from Belgium. As the ferry has only just landed in Dover, it’s going to be a long night! 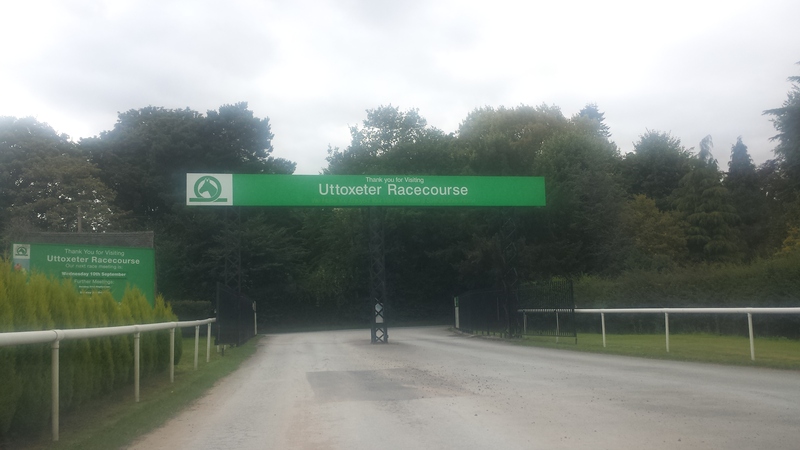 Today was TAG at Uttoxeter Racecourse. 40 minute journey away? Luxury! Out of the house late (a bad habit I must get out of) but we still arrived on time. Entry numbers looked low and there were 5 rings, but as I pulled through the gates the view that greeted me was amazing! 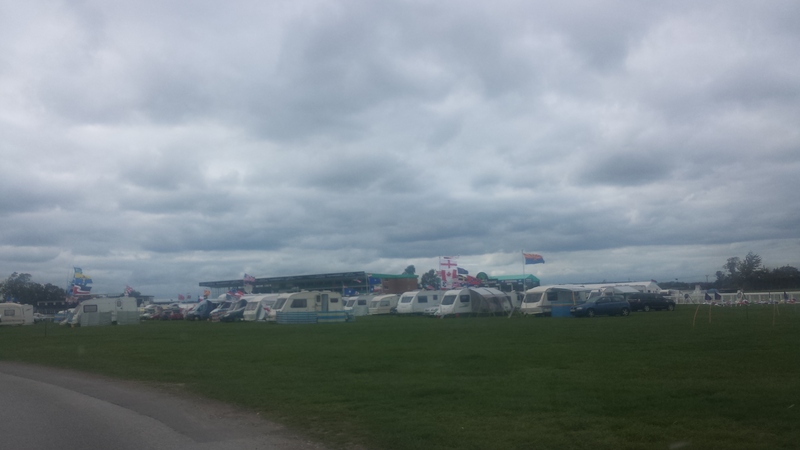 Floods of caravans as far as I could see. Surely there could not be this many people entered?! I later found out that they were here for another event. We had great fun trying to identify all of the different countries flags on display! First up, Grade 1-2 Agility. It was simple enough with front cross/rear cross opportunities, but then towards the end, tunnel – long jump – 12 weaves. A mere four to five paces from the long jump to the weaves. Crap. Yes he should get it surely, but it certainly wasn’t “easy” for newbies. As I headed to fetch Guinness, walking towards me were two lovely friends from Dig It, Gwynneth and Diane! They haven’t been to a show for a long time and it was lovely to see them. We spent most of the day together. I’d opted for a new tactic today, keep calm, feed in the queue for stillness, and go into the ring off lead. The start line nicely reached outside of the ring so I was able to get Guinness into position and treat. Technically not breaking rules (I hope). My plan is to fade out the need for treats. Into a calm wait I stepped a few paces away, looked at Guinness, and released. We went well, rear crossing the aframe and the tunnel. I tried my best to show him the weaves but he blasted out of the tunnel and over the long jump and was halfway past the weaves before he noticed. Three failed attempts and we never completed them. 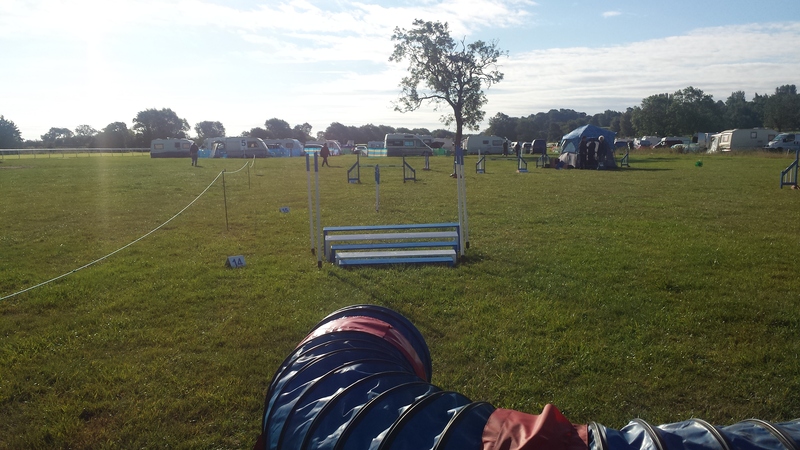 Our next runs weren’t until after lunch and I enjoyed the morning watching agility and chatting with friends. The exercise arena was huge, following the curve of the racecourse, and we had a lovely group walk with four dogs between three of us. As lunch came to a close I found myself with three courses to walk! 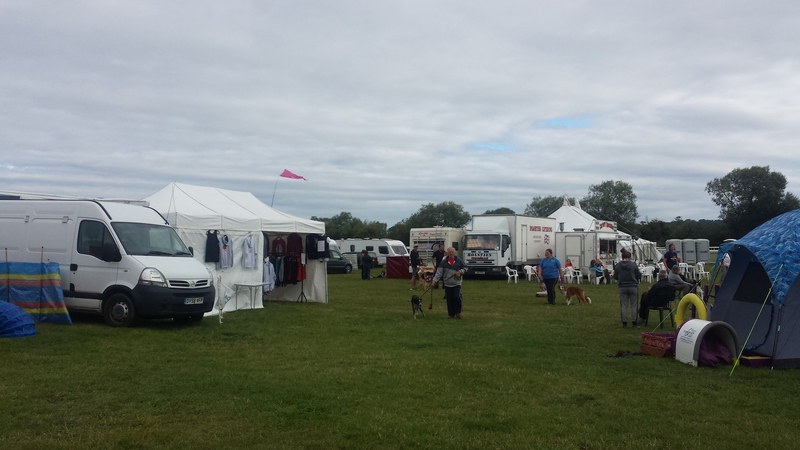 Collie mania, all rings were on large! We ran G1-3 Agility first. A nice course with some little bits of gentle handling. I decided to rear cross the weaves, we can do it and sometimes it actually helps Guinness to push on through them. He didn’t see the weaves and instead headed for the seesaw and then we were too close. I brought him back and sent him in. Nailed it! Only 5R. A lovely run! A little relaxed on my behalf, but we felt calm and smooth and connected! This is what we need! Speed and difficulty can come later. Plus it’s not like he’s a slug. 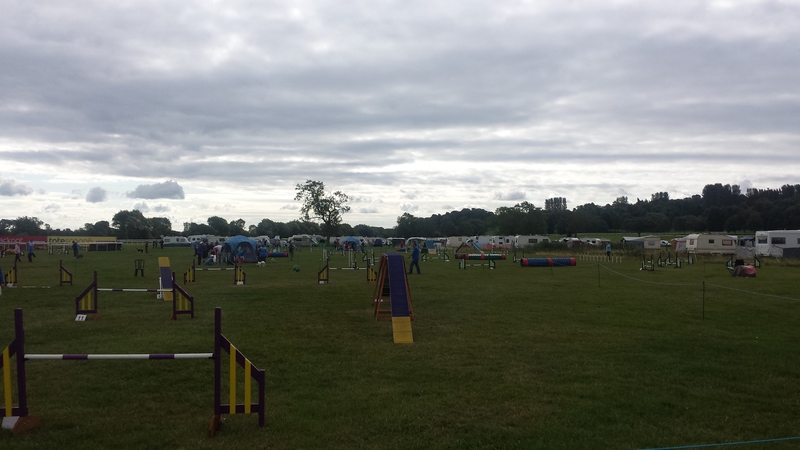 As we came out of the ring, Combined 1-4 Jumping was calling to the end so we ran up there, back into the same ring as this mornings Agility. Just as I was getting Guinness on the line the lady scriming said “Ruth will you please please please try to get the weaves, we’re so bored of watching dogs fail”. “Remember what Grade this is!” I chuckled back. The comment hadn’t offended me at all, but I wouldn’t wish it on a nervous competitor about to do their first run of their first show. We nailed our weave entry but popped out at about 9 and Guinness was over a jump and into the tunnel before I had even said “whoopsie”. We tried again, no good. “That’s your fault” I shouted at the scrimer jokingly. As I told my friends and heard their reaction I realised how thoughtless the comment had been, plus the fact that the G1-2 Agility from this morning had produced a grand total of zero clear runs. Last up, Combined 1-3 Jumping. The start line had loads of room and again I was able to set Guinness up and treat outside of the ring and then shuffle him off lead into the ring. I felt cool, relaxed and confident and slowly walked out right up to Jump 3. Lets rock n roll. What a wait!! Plus a fantastic front cross. Then it all ended at the weaves. A straight entry with room but Guinness went in at pole 2. I took him right back, wrong entry again. Back again and into a down. 2nd pole again. Last attempt, a tight wrap around my leg, wrong entry. What is going on Guinness?! My thoughts raced from potential injuries to eyesight issues to discomfort to lack of entry training. Hmmmmm. But what a wait! Woo I’ll take that over weaves (for now). “You were so cool and confident” I was told. I do seem to be walking with Swag on the video haha. Love it. Now that is the wait I have dreamt of! Today I started to make it a reality. I hung around for a little while after the G1-3 Agility had finished, wanting to check if there was any chance of placement despite faults. After almost an hour it was time to go home. I’m feeling much more positive! A little concerned about our weaves, we definitely need to go and look at that. But what great waits! Yes they are something that we should have had from the beginning and something we should have never lost. But by gum the joy from working through a problem and making progress is far more satisfying than having them from the start. Onto Adams next Saturday and Sunday. That’s gonna be a busy show! 10.30pm now, only 4 more hours or so to go! Awesome waits! ❤ That agility run is lovely, you both look great! It's weird, some of my class have young dogs who have been really great in the weaves, but have recently started to skip entries/pop out. Watching them at training and on videos, it's clear that the dogs have gained in confidence over the season and are now stepping up their speed, and they're struggling to adjust for the weaves now they've increased pace.